Observation - THE STREAMER - UK and Ireland. 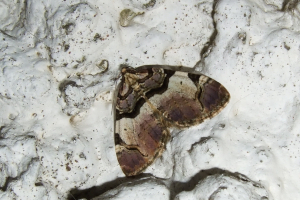 Description: A very triangular looking moth,dark with a broad pale white band across wings. A very triangular looking moth,dark with a broad pale white band across wings.